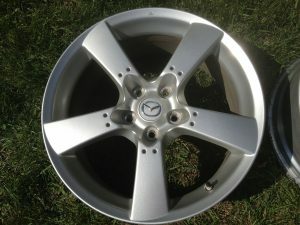 I have a set of stock rims for sale or trade (I'm interested in performance upgrade parts for the 8). 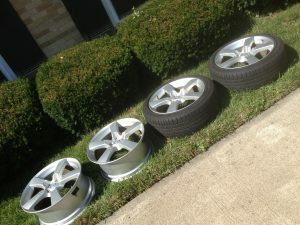 I'm asking for $350 OBO meeting in Cincinnati/Dayton area, or I'm willing to drive up to 2 hours or so for $400 OBO. at this point I prefer not to ship, but make me an offer, and i can check how much it will cost to ship. All Rims has TPMs, and all tires (mounted or dismounted) has tread, but dry and hard. Rim 4: no curb rush in good condition. 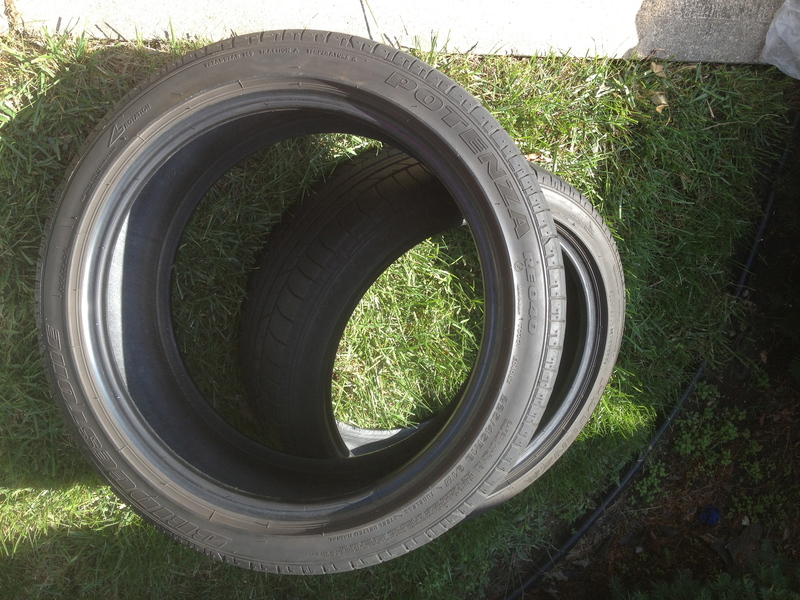 Tires: two tires dismounted from the rims, has some tread, but hard and dry. Last edited by tacti; 10-14-2012 at 09:19 AM. Tacti, if for whatever reason you decide to sell a wheel or two separately, please let me know. Free Bump for a great guy. 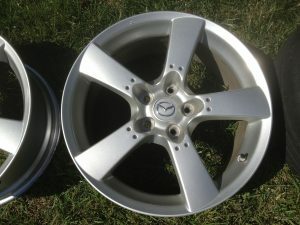 I think I only need one, but let me go home tonight and double check all of the wheels. I just posted to the Main FS section. if there's any interest parting the set, I'll let you know. 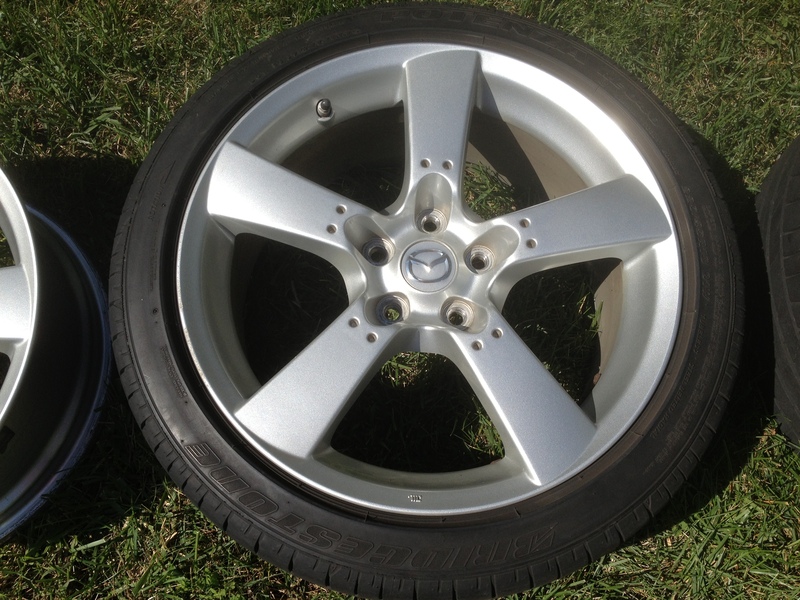 btw, can i remove the TPMS myself or is it something needs to be done with special tools? 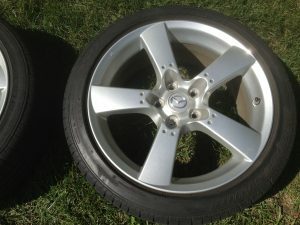 Would you be willing to sell one rim? I'd pay shipping to 78666 I dont need the tpms either but i'll take it anyways to save u the trouble of taking it off...I dont need the tire either so it would be just the rim. If you'll ship to Seattle I'd be interested in the full set of wheels with TPMS sensors.